Little boy is a very sweet mother to his baby cat. But like mothers do, he’s often complaining that his Loulou is doing nasty things like jumping on the table or licking plates in the kitchen with unhealthy things for a little cat. More and more, little boy is getting tired as well of being disturbed in his sleep at night by his little baby. The other day, he was even crying because he didn’t want to share his bed with it any more. “I need a good rest tonight”, he told me. And he asked me to take care of it that night. Little boy was also very worried when Loulou played with a wasp and was probably stung by it. “It’s always licking with its tongue and it seems having tears in its eyes”, he reported me. 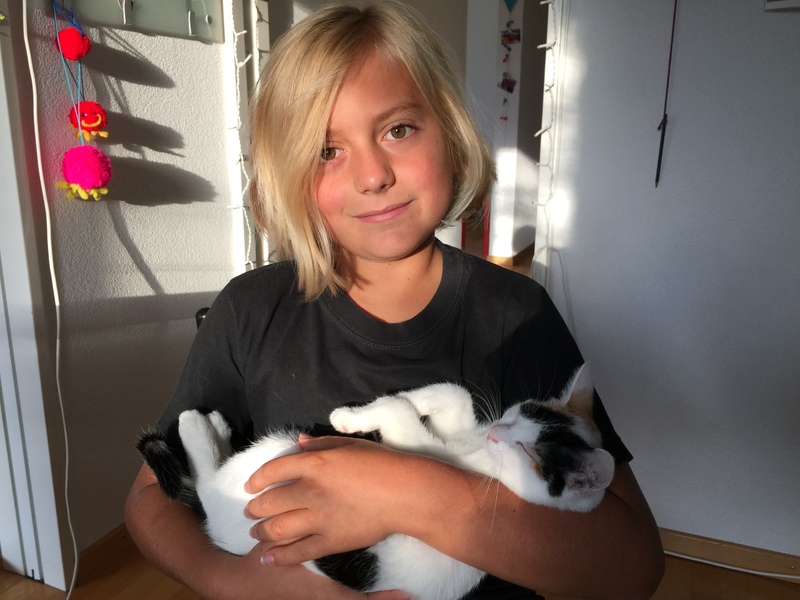 Taking care of his baby cat keeps little boy busier than he imagined before. This piece of writing is genuinely a nice one. The contents existing at this web site are really amazing. Keep up the nice work.